Ben Errington is creating books, short stories, comics, podcasts and video essays! Hi, I'm Ben Errington! I'm a writer from Bristol, UK. I'm also a producer of video content (The Story Studio storytelling essays and Level Won gaming play-throughs) on YouTube. I also co-host the weekly horror film discussion podcast Horror Hangout with Luke Kondor. 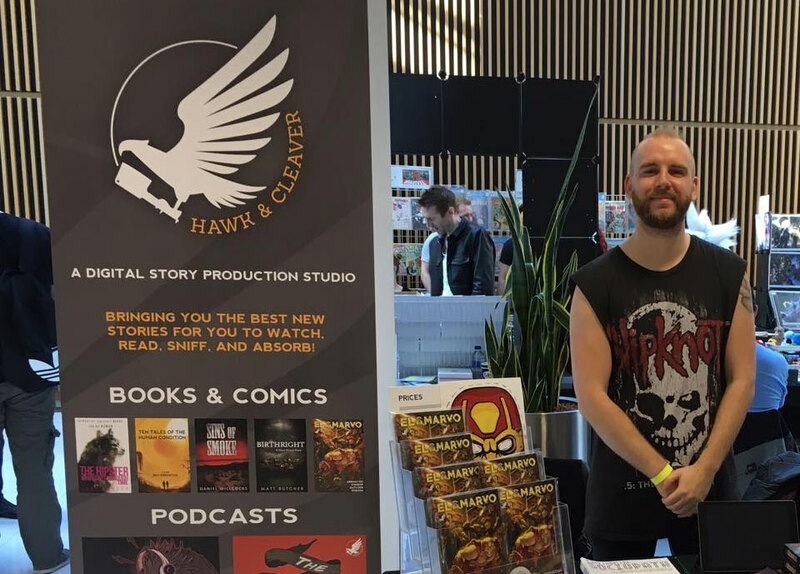 PLUS, I'm a member of the storytelling collective Hawk & Cleaver and one of the minds behind the highly successful fiction podcast The Other Stories, which releases original narrated horror, science-fiction and fantasy shorts every week. Here’s a rundown of my expected output for 2018. With your support I can continue to produce content and hopefully when I reach a particular amount of pledges I can upgrade my equipment and put funds towards marketing, promotional materials and social media advertising for my books, videos and more. I've chosen Patreon as I'd like to include all of my creative endeavours in one place, as I thought that would be easier to create an engaging and diverse amount of additional content to include exclusively on this platform - from what I’m working on and behind-the-scenes extras to bonus previews and insights into my processes. ALL NEW PATRONS WILL INSTANTLY RECEIVE 3 x eBOOKS TOTALLY FREE (Ten Tales of the Human Condition, Death Throes & Other Short Stories, Dye Pack trilogy). Thank you for your continued support, whether or not you decide to pledge anything each month! Access to the patrons-only activity feed which includes regular updates on what I'm working on and behind-the-scenes extras! Access to the patrons-only activity feed plus bonus content and insights into my processes (Q&As, early access videos, artwork previews, etc). All of the above plus access to everything I’ve published to date in eBook format. EVERYTHING! Plus new stuff as and when it’s released. All of the above plus access to additional blog posts, essays and other juicy content before anybody else. All of the above plus the opportunity to choose what film I discuss on The Story Studio or what game I play on Level Won (both YouTube shows). When I reach 25 patrons I'll include every supporters name in the credits of each video and at the back of each published book.